Taco Bell's website and social media channels went temporarily dark Tuesday to draw attention to the launch of its new mobile-ordering app. Decreeing "Taco Bell isn't on [Facebook, Twitter, the Internet] anymore," all pages drove visitors to a page dedicated to the app, with links to download it on iTunes and Google Play. The app lets taco lovers browse the menu, customize and place an order, and then, upon arrival at their nearest Taco Bell, alert the staff as to whether they'll be claiming their food in the store or at the drive-thru. 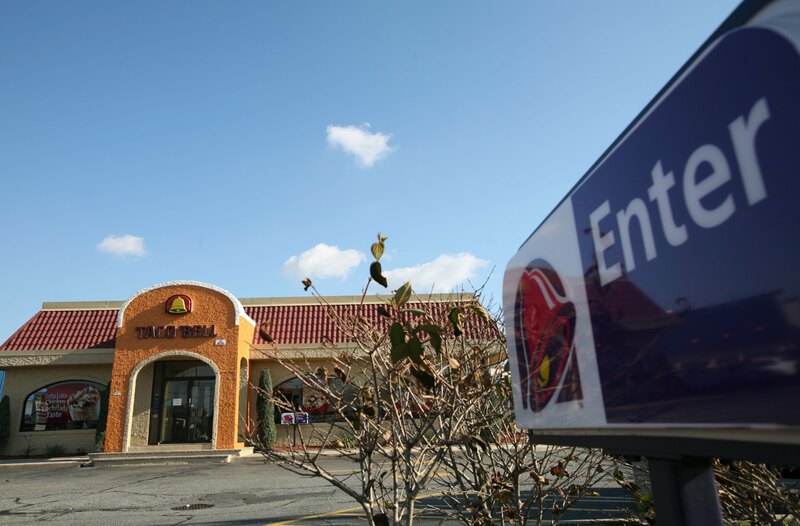 Taco Bell is just the latest in a line of chains using mobile apps to help you get your fast food even faster, Domino's pizza and Chipotle among them. See our gallery at left for other apps that eliminate the standing and speaking typically involved in ordering at the counter. Outback Steakhouse also garnered attention Tuesday with its announcement of a new feature on its website that shows current wait times at individual restaurants and allows customers to put their names on the waiting list before showing up. Those with designs on eating steak later can put down their parties for later, but Outback clearly disclaims that this does not constitute an actual reservation.